Camco Furnace creates automatic, batch type, reducing atmosphere, and vacuum cold wall furnaces appropriate for ceramic to metal and brazing technology. Have quick and controllable process cooling. Full automatic furnace operates in hydrogen or any reducing/inert atmosphere up to 2300°C. Can easily and reliably ramp up to desired temperature in minutes or days based on the requirement. Smallest size, tabletop Model, Front or Top Loading. Run parts in high vacuum or partial pressure atmosphere up to 2300°C. Equipped with reliable, quiet and clean Agilent turbomolecular pump. Typical vacuum down to 10–7Torr range at ambient temperature. Better vacuum levels available through optional Ion or cryo pump. Other options include: Additional survey thermocouples (flexible type 'K') tower indicator lights, computer controls, residual gas analyzers, combination hydrogen operation, and much more. Ideal for vacuum clean firing, active metal (ABA®) brazing, and highly controlled vacuum annealing. Also suitable for other processes involving metals that react poorly when heated in gas, such as titanium or niobium. Partial pressure brazing is also an excellent option for ultra-clean brazing of metals with low vaporization points in high vacuum, such as copper. Comprise of rotating parts carousel, microprocessor controls and multiple sources, the system reliably and automatically coat parts with silver and chrome in one process. A fully robotic high vacuum auto-loading furnace. 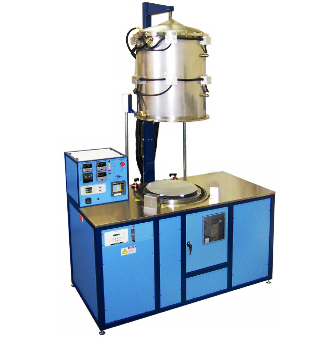 Capable of processing up to five different batches up to 1200°C in high vacuum (with different heating profiles if necessary) in the same run. Parts sit in molybdenum baskets on a revolving carousel and are loaded into the furnace chamber via robotic arm. 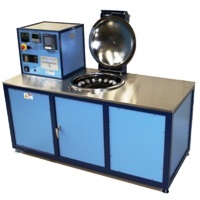 Simple vacuum chamber (approximately the same size as G-Furnace. Majority of chamber is within the frame. Water cooled Lid. 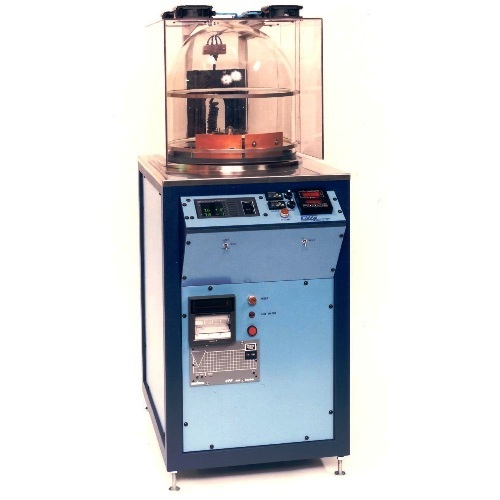 An ultra-high vacuum pump and bake station for x-ray tubes. Large shielded box with leaded windows constructed around the manifold to allow the user to safely excite their parts during the process. Eight high-current feedthroughs in a high vacuum water-cooled chamber, connected to individual rack-mounted power supplies controlled by a dedicated PC.